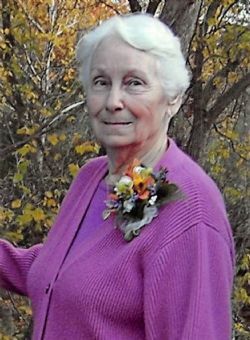 Dorothy Dee Wiggins, 92, of Mountain View, Arkansas passed away at her home on Saturday, February 9, 2019 surrounded by her loving family. Dorothy was born on October 28, 1926 in Byars, Oklahoma to the late Silas and Minda (Cummings) Clinton. Dorothy was a homemaker and a member of Holiness Church. She loved gardening and reading and will be greatly missed by all of loving family and friends. Dorothy is survived by her son, Steve A. Johnson and wife Ramona of Mountain View, Arkansas; eight grandchildren, fifteen great-grandchildren, and one great-great grandchild along with many extended family and friends. Dorothy was preceded in death by her parents, Silas and Minda (Cummings) Clinton; first husband, Lester Johnson; husband, Lawrence Wiggins; daughter, Virginia Davidson; son, Gary Johnson; and brothers, James Clinton, Albert Clinton, and Fred Clinton. A visitation for Dorothy will take place on Tuesday, February 12, 2019, from 5:00-7:00 PM at Comanche Funeral Home in Comanche, Oklahoma. Interment is private. Roller Coffman Funeral Home and Comanche Funeral Home are in charge of the arrangements.